Are you about to sell your house in Los Angeles? Before you sign your listing agreement, you will want to make sure you understand what happens during the buyer’s home inspections! As a seller, you should be prepared, knowing everything that will be inspected and knowing what to expect after the inspection is over and you receive the inspection report. Having your house inspected and scrutinized is very stressful. Do you know what will come up in the inspection? Will you be able to pay for the potential buyer’s request for repairs after they have received the completed inspection report? To avoid this stressful period of time, many sellers choose to have their own home inspections completed before the listing. This will allow you to know what you should fix now, what you may have to give the potential buyers a credit for future repairs and will allow you to negotiate with the buyers after their inspection has been done from a place of knowledge instead of from a place of surprises. Having your own inspection ahead of listing will also help you rationalize what really needs to be done, set a more appropriate level of expectation and therefore take some of the emotion out of this period of time. And, remember, if this is the potential buyer’s first home purchase, they are already nervous themselves and want to feel like they are making a good decision. Another approach that some people consider is eliminating the tiring inspection process altogether by selling their house as-is. Is it right for you? We at The Shenbaum Group, Inc. buy houses this way all the time. It works for you because there is no need for repairs found during the home inspections and there is no inspection contingency where the buyers can back out of the sale because of the findings of the inspection. It’s rare that a buyer will accept all the liability that comes with the sale of a house, but we at The Shenbaum Group, Inc. do just that. That is called an “as-is” sale, no repairs, no liability, just a smooth escrow that works for you. If you still decide to go through with the listing and inspection process, be prepared using the tips below. Before you list your house, it is a great idea to review these areas of your house and fix any problems that you know about. Most importantly, you never want to hide anything or cover it up. Not only is it incredibly unethical, but it can also come back to bite you if you haven’t disclosed the problem up front. The inspector will review all of these areas, and likely recommend a specialist evaluate anything that presents itself as a major problem or appears to have been repaired improperly. For example, they might call an HVAC company if there are bad readings detected. Buyers have become savvier these days. Most will accompany the home inspector during the inspection, asking questions and looking to identify issues themselves. They will follow the inspector looking for fresh patches of paint of other signs of recent repair. 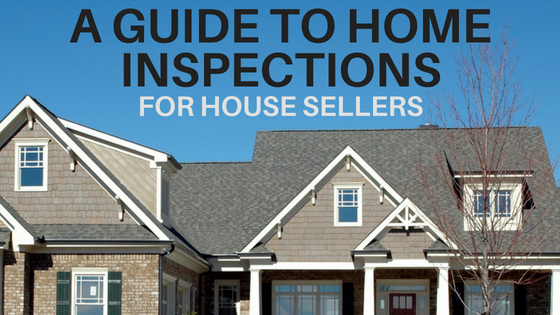 Some buyers will bring in more specialized inspectors to look for things a regular home inspection won’t detect. This includes things like the foundation, the roof, mold tests, and the swimming pool. It can be very awkward if you are there as well, so your agent will likely recommend you not be present at the house during the process. Some buyers will try to negotiate that you have everything fixed before they agree to buy the house. While you are not obligated to agree to these terms, you may likely have to have some improvements made in order to satisfy the lender. They will want to ensure that one leak isn’t going to lead to another host of problems. In some cases, you will be able to simply lower your asking price, allowing for a credit to the buyer for future repairs. In other cases, you will need to pay for things to be fixed up ahead of time. Your buyer will likely have an agent with strong negotiating skills to help with this. Make sure you are prepared for what they ask for. This is where having done your own pre-sale home inspection will come in handy. To learn more about what to expect in the home inspection process, feel free to give us a call. We can also talk to you about you selling your house without having to deal with the inspection process at all. Find out if selling directly to a professional buyer like The Shenbaum Group, Inc. is the right choice for your Los Angeles house. “My house needed major repairs and I did not want to put the time and money into it, so I decided to sell quickly. I contacted a few other companies, but they either low balled me or were too flaky. Jennifer got back to me right away and answered all my questions. When she explained how easy the process was, I thought it was too good to be true and there must be a catch. No catch, just simple and straightforward.